Since early childhood, I suffered from a high sensitivity to chemicals and traditional medicine. I remember growing up always worried about how my body would react if I had taken one or another medicine. Becoming older, in my twenties, I experienced my first serious allergic reaction to chemicals, I had to call an ambulance and go to the hospital where also the doctors were unable to help me, they just monitored my conditions and waited that the effect was over. I don’t have an allergy to antibiotics, or to another active principle of the medicine, I am allergic to excipients, the components that are added to a medicine to make it stable. So it always depends on the mixture of this components and on the quantity. On September 2017 I entered Hospital again due to an allergic reaction this time to an antibiotic, my parasympathetic system went completely bananas. I had to wait 4 hours to stop shivering. I was exhausted, I went to the doctor again but he explained to me that he couldn’t help me, because there were no criteria to define my kind of allergy and that I simply hadn’t to get sick. So I started to research something that really could sustain my well-being and help me boost my immune system so that I don’t get sick so often anymore and so that I don’t have to take medicines for minor occasional diseases. I knew Essential Oils mainly because of their beautiful smell and because, due to my sensitivity to chemicals, I used massively Lemon Essential Oil to clean my house instead of the cleaning products that you find in the supermarket, but I never thought about other kinds of uses. What I found out was that the purity of the Essential Oil was pivotal for their topical use, the Essential Oil must be 100% pure and from organic (and hopefully sustainable) sources. So, after my last tour in the hospital, and after my doctor said that it was better for me not being sick, I started to use Essential Oil for my well being and for the cleaning of my house and I really have to say that my quality of life improved exponentially. 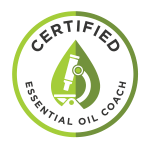 On January I enrolled in Dr.Axe’s Essential Oil School and I became Essential Oil Coach. I studied the primary compounds of the oils, their benefits and in which way they can support and improve our well-being. If you want to find out how Essential Oils can improve the quality of your life, you can book a consultation, or, if you have some questions and want to know more about them, book a complimentary call of 15 minutes, it will be my pleasure to answer to your questions. Before your booking please be sure to have read the terms and conditions here.